Prensa Armenia: "The Perincek ruling creates an inequality before the law for victims of genocide or crimes against humanity"
"The Perincek ruling creates an inequality before the law for victims of genocide or crimes against humanity"
On December 17, 2013, the European Court of Human Rights (ECHR) ruled on the Perinçek v. Switzerland case, stating that Dogu Perinçek didn't commit an offense when he denied the existence of the genocide against the Armenian people -opposing the Swiss Criminal Code that criminalizes negationism under Article 261bis- and that Switzerland had violated the European Convention on Human Rights. In March 2007, Perinçek became the first person in Switzerland to be convicted for abusing freedom of expression to promote racist and hate speech by denying the Armenian Genocide. The Turkish politician appealed the ruling in the ECHR, arguing that Switzerland had violated Article 10 of the European Convention on Human Rights, which guarantees the right to freedom of expression. A few days before the expiration of the appeal period, Prensa Armenia interviewed Dr. Sévane Garibian*, professor and researcher at the Universities of Geneva and Neuchâtel. The European Court of Human Rights judgment alleges that the crime of genocide has a precise definition and is difficult to prove. 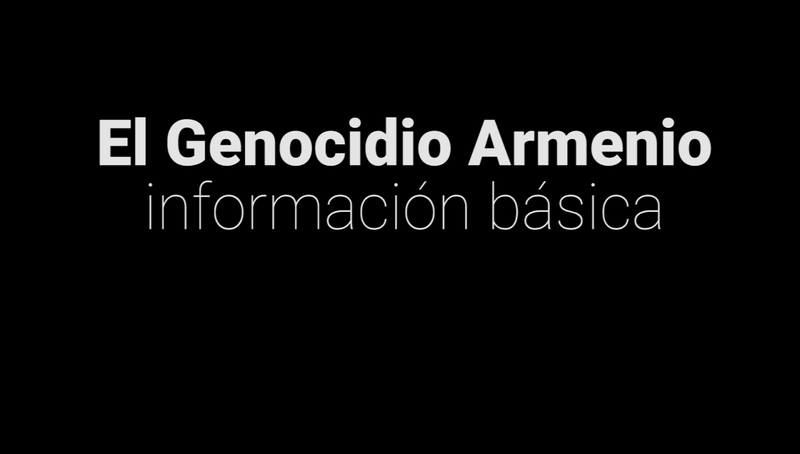 Why do you think that this court understands that the genocide against the Armenians would not qualify in this category, although several countries of Europe have recognized this, and despite the substantial documentation that exists about it? In the best case, because of ignorance. 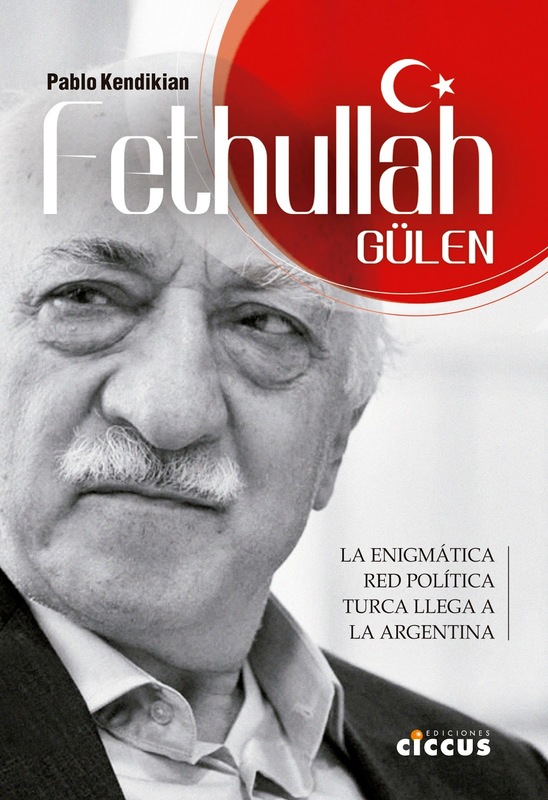 To justify its decision, the European Court makes a distinction between the denial of legal qualification of genocide, and the denial of the facts themselves, and then claims that the denial of legal qualification of genocide by Dogu Perinçek in this case is not a problem from the point of view of human rights because there is no "consensus" on such qualification. This argument is weak and problematic for at least two reasons. First, the distinction between "denying the legal qualification of genocide" and "denying the facts themselves" is irrelevant here: to deny the legal qualification of genocide is to deny the specific purpose and intention that characterize this crime (the purpose to partially or completely destroy a national, ethnical, racial or religious group). To deny this specific purpose means to precisely deny historical facts. Second, these historical facts are clearly subject to a "consensus" not only "general" but also scientific (academic), as explained very clearly by the Swiss judges in 2007 in the Perinçek case, as well as by the Swiss government before the ECHR. This specific matter is also, by the way, subject to long and complete developments made by two judges of the European Court in a very interesting dissenting opinion (judges Vučinić and Pinto de Albuquerque). On the other hand, one should remember that the legal qualification of genocide is not a condition of application of the Swiss law banning negationism, since this law (Article 261 bis par. 4 of the Criminal Code) protects victims of genocide or crimes against humanity without distinction. What impact do you think that this ruling could have in the struggle for recognition and reparation of the genocide against the Armenians? Does it operate as a guarantee of freedom of expression or it can function as a guarantee of impunity for the Turkish state? In its famous Garaudy case (2003) the European Court stated that freedom of expression cannot protect negationist or hate speeches (in this case it was the denial of the Holocaust) because it is contrary to the values of the European Convention of Human Rights. The use of freedom of expression to justify this kind of discourses is then regarded as an "abuse" within the meaning of Article 17 of the Convention. In this context, according to the Court, you cannot guarantee freedom of expression when the complainant is obviously using his freedom in an abusive way. Unfortunately, I think the effects of the Perinçek ruling, in the context of the pre-centennial commemoration of the Armenian Genocide, are disastrous. It cannot stop, strictly speaking, the struggle for the recognition of the genocide and against its denial. But it does generate another difficulty from the political point of view, "doing a favor", or "helping" de facto, the actors of Turkish denial. From the legal point of view, the decision presents another problem: it creates an inequality before the law for victims of genocide or crimes against humanity. Prestigious historians like Eric Hobsbawm, Jacques Le Goff and Heinrich August Winkler had taken position against the "laws of memory", arguing that "it is not the business of any political authority to define historical truth or restrict the freedom of the historians through criminal sanctions". What do you think should be the role of the State against crimes of this magnitude? The role of the State facing crimes of this magnitude and, more generally, having to deal with the struggle against impunity for genocides and crimes against humanity, should be to have a clear and strong position, without discrimination between the victims and the crimes at stake. It is a universal issue that concerns everyone, outside any hierarchy and "competition" among the victims. Today, the role of the State should be mostly the prevention of such crimes through the legal instruments available and developed since the Second World War. The struggle against negationism may be comprehended as a way, a tool, among others, of prevention. Democratic States have an important responsibility in this framework. One may think that a law banning negationism is not an effective or appropriate solution. It's an open discussion. But regardless of the different views that one can have on this point, the fact is that the argument according to which the existing laws in France or Switzerland define historical truth and prevent historians from working, comes from a profound misunderstanding: it is not case. I had the opportunity to analyze and explain precisely why and how in my work. This argument, that reveals an ignorance or misinterpretation of the law and jurisprudence on this matter, is inaccurate and creates lots of confusion in the debate. Furthermore, the term "memory laws", or "laws of memory", is inappropriate. The object of the laws banning negationism in France or Switzerland is not memory itself, nor "truth" or history. Their purpose is to protect human dignity, reputation and honor of the victims from the abuse that constitutes negationism as a dangerous ideology in a democracy. Denying for obvious political reasons the existence of a recognized genocide is not doing historical research, nor adopting a scientific or academic approach. Luckily, no historian doing his work seriously and in good faith, can be in any way limited by these laws. France introduced a law banning the denial of the Armenian Genocide that was adopted in the chambers and major political parties agreed on its importance. That law was subsequently vetoed by the Constitutional Council, in a ruling that was considered a victory of the Turkish lobby. Do you think the decision of the ECHR is part of this strategy? Can it be considered a continuation of the veto to the banning of negationism in France? They are different rulings, but they have some interesting things in common. One of those things is, for example, the use in both cases of an inaccurate premise in the reasoning: the impunity of the Armenian Genocide (ie the absence of judicial recognition of the facts), in the ruling of the French Constitutional Council ; the absence of a "general consensus", in the judgment of the European Court of Human Rights. Not only the judges do not know - or do not say - nothing, for example, on the judgments of Constantinople (1919-1920) that constitute very important archives and documentation containing evidence of the genocidal plan of the Young Turks and their intention to destroy the Armenian population of the Ottoman Empire, but they also omitted essential information: it is, precisely, the extermination of the Armenians that originated the very creation of the concepts of "crime against humanity", in 1915, and "genocide" (with the persecution of the Jews), in 1944. 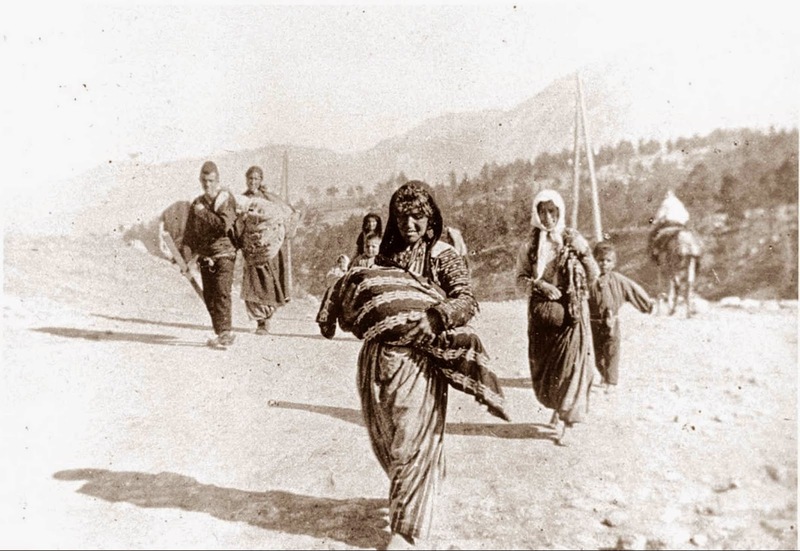 The Armenian Genocide played an important role in the emergence of international criminal law. When Perinçek gave the lectures in Switzerland, did he receive any kind of social condemnation, by social organizations, human rights activists or community members, besides the complaint made by the Swiss-Armenian Association? No, not really. Very few are those, in the Swiss civil society, who realize who exactly we are talking about: ie a politician who, among other things, created the "Talaat Pasha Committee" (the "Turkish Hitler"), who identifies himself with the genocidaire and rehabilitates his crimes accusing the Armenians of being the aggressors, hence defending the theory of "self-defense". His discourse is clearly hateful and racist, and illustrates the well-known strategy of both denial and justification of the crimes. This had been perfectly demonstrated by the Swiss judges in 2007. The European Court (except the two dissenting judges) invalidates the assessment of the national judicial authorities. The Swiss government has now the possibility to request an appeal to the "Grand Chamber" of the European Court until March 17. *Sévane Garibian is Doctor of Law, assistant professor and researcher at the Universities of Geneva and Neuchâtel (Switzerland). 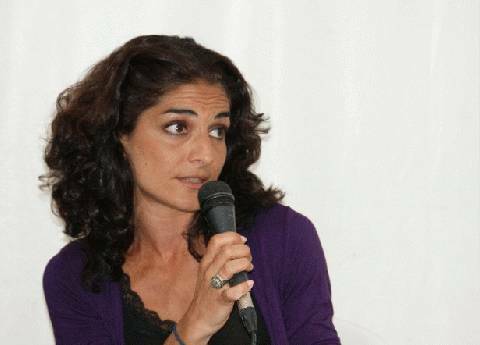 Her work focuses on issues related to Law facing State Crimes (domains: International Criminal Justice, Transitional Justice, Human Rights, “Memorial Law”).She is the author of numerous publications in French, English and Spanish.